Christiana Dental Spa offers a wide variety of dental services for families, from restorative and cosmetic dentistry to teeth whitening, TMJ disorder treatment, and gum treatment. If you are looking for a family dentist in Newark, DE., we’d like to take the opportunity to tell you about the broad range of dental services our local dental spa has to offer. In our last blog, what patients are saying about our local dentistry, we highlighted a few of our favorite reviews we’ve received over the past few years. We did this not because we enjoy our patients tooting our proverbial horns (although we certainly don’t mind hearing about how well we are doing), but because we wanted prospective patients who are looking for a reliable dentist in the Newark, DE area to know they have found one at Christiana Dental Spa: Family & Cosmetic Dental Care. Who better to hear what patients can expect than from those who have first-hand knowledge of our dental treatments and services? We’d encourage you to go back and read that post to get a feel for the kind of high-quality dental care we provide to each patient who walks through our doors. However, for the purposes of today’s blog, we will be highlighting the wide range of dental services that we offer. So let’s dive straight and provide you with a brief synopsis of each dental service we provide at Christiana Dental Spa! Crowns – Any tooth can lose its natural shape and size. Crownwork covers teeth to restore their original shape and size. Bridges – While crownwork addresses the shape and size of individual teeth, bridgework can solve the problem of missing teeth. They are similar to dentures, as they replace gaps in your smile with artificial teeth. Implants – Dental implants are the foundation on which permanent teeth are placed. Dental implants can improve your smile and self-esteem! Fillings – If you have cavities or a cracked tooth, dental fillings are a common solution. They can be porcelain, silver amalgam, gold, or composite resin which matches the color of your teeth. Dentures – Dentures are removable dental replacements, and it is a service with which we are quite familiar at Christiana Dental Spa. Cosmetic Dentistry – Cosmetic dentistry refers to the goal of helping people feel good about the way their teeth look, through dental treatments like bonding, bleaching, veneers, reshaping, and more. Veneers – Veneers are thin, natural-looking coverings that go over the visible, front part of the tooth. Teeth Whitening – Utilize your dentist for teeth whitening services in order to ensure safety and effectiveness! Extractions – Dental extractions are performed to remove teeth that need to go due to damage, overcrowding, or disease — we take great care to provide a minimally painful tooth extraction experience. Gum Treatment – Gum disease is a serious problem around the world, as it is one of the leading causes of tooth loss. We can help make sure that doesn’t happen to you. Root Canals – Repair and save a tooth that has badly decayed or has become infected with a root canal to remove the dead nerve and seal it off to prevent further infection. 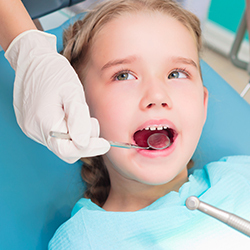 Dental X-Rays – Like any family dentist worth their salt, we provide regular dental x-rays as part of our examination. Sealants – Dental sealants are plastic coatings painted on the top of teeth. This is done in order to remove rough edges, grooves, and depressions, whereby protecting them against cavities and tooth decay. Restorative Dentistry – Restorative dentistry includes fillings, bridgework, and dentures. Ask about how modern dental implants can last for the rest of your life! 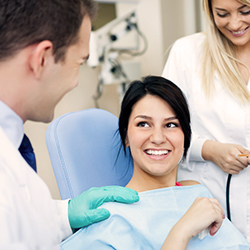 Nitrous Oxide – We provide nitrous oxide, an extremely safe form of sedation, for some of our dental treatments. TMJ Disorder & Treatment – We offer treatment for the painful symptoms of TMJ Disorder, including customized mouth guards, surgery, or implants. Nightguards – Nightguards can be quite beneficial if you need to protect your teeth from grinding while you sleep. Just like how a mouthguard protects your teeth while playing sports, nightguards that we provide will be custom-fitted to your teeth and jaw. Bruxism – Bruxism, also called teeth grinding, happens to a great many people, and can cause serious dental problems if left untreated, including sleep apnea. We offer a range of treatments to help solve these issues. Sports Mouth Guards – The final dental service we’d like to highlight in today’s blog is no service at all. Rather, we offer custom sports mouth guards to protect your mouth and teeth when playing sports. Wearing a mouth guard will help you clench your jaw less intensely while playing sports, which decreases your chances of developing TMJ! Now that you have a general idea as to what kind of family dental services we offer at Christiana Dental Spa of Newark, DE., we hope that you schedule an appointment with us to experience our care for yourself! 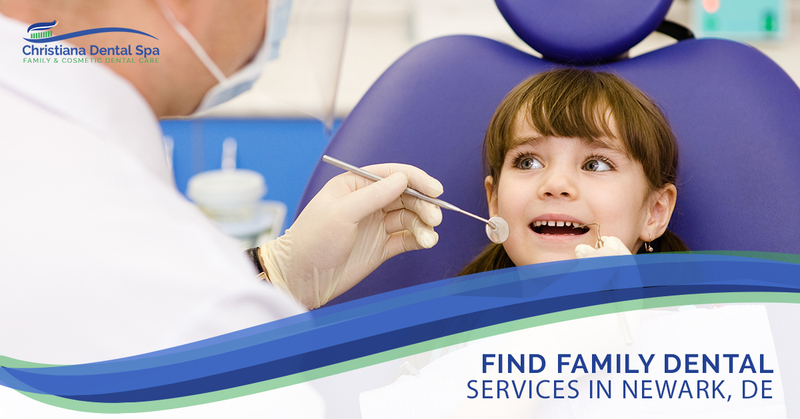 Whether you are looking for cosmetic, pediatric, or restorative dental work, we are the local dentistry to combine considerate care, experience, and value. Make an appointment today!